1. Is there a musty smell? When too much pressure builds up, they’re going to crack. At first, the crack might be too small to easily find. But you’ll be able to smell mold and mildew as they grow near any pooling water or beaded up moisture sitting in small cracks. 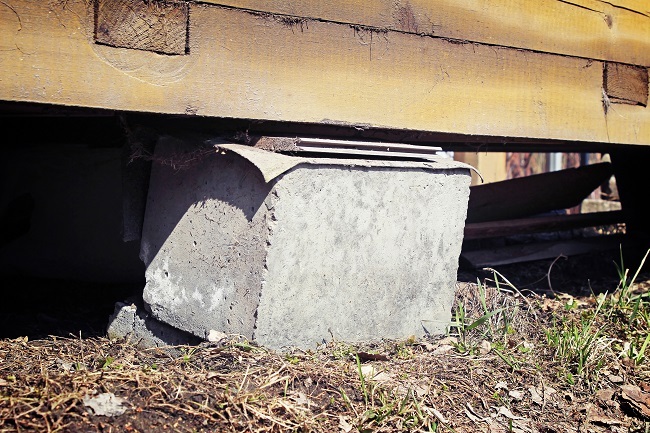 If your crawl space smells musty, it could be concrete damage. 2. Are the walls cracking or bowing in? Many times, the damage will eventually become visible to the naked eye. It just develops slowly or is blocked from sight. Look for cracks along the walls, especially along any walls that line up with the exterior walls outside. Concrete walls don’t always crack when they’re first damaged. Instead, they might start to bow in. If you think the concrete wall is warped or uneven, check it with a large level. Any bulging or tilting is a sign you need to bring in an inspector. 3. Is the soil outside really far from the wall? If your soil is pulling away from the edge of your home, that means it’s extraordinarily dry. It’s contracting and shifting, which puts pressure on the structure. Even worse, the next time there’s heavy rainfall the water will fall right into the crevice. That can make your walls crack and leak even before the soil starts to re-expand and cause additional problems. Go to Dodson Foundation Repair to schedule an appointment and get your crawl space inspected before the musty smell turns into leaking cracks.